When running I always strived for negative splits. This is where you run each mile faster than the last. 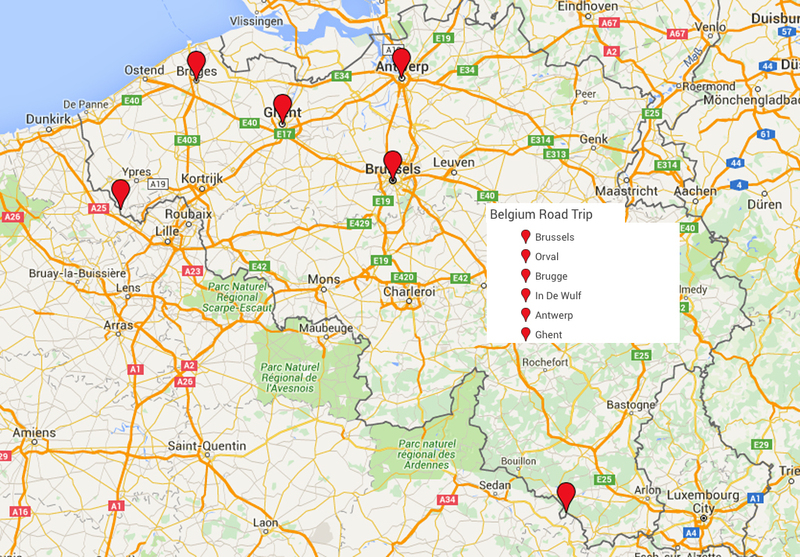 Our Belgium vacation was like running negative split. It had a slower start, we finally hit our pace then had a fast, hard and strong finish. 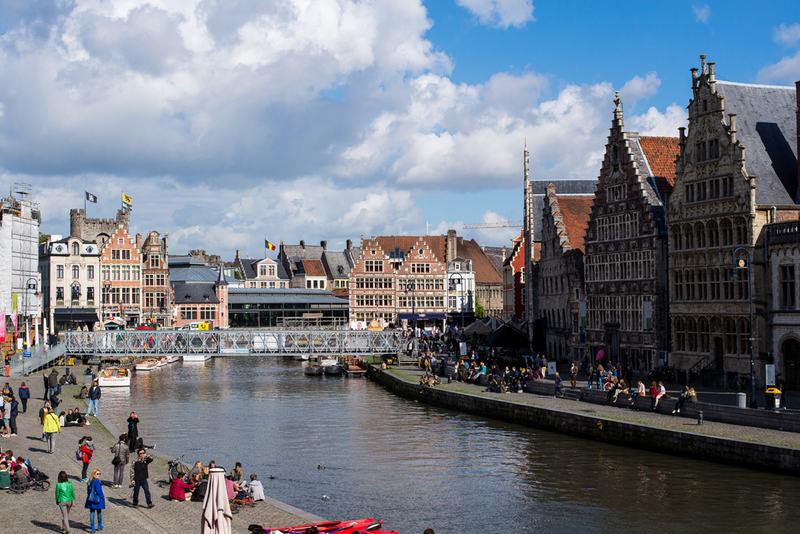 The finish – Ghent. 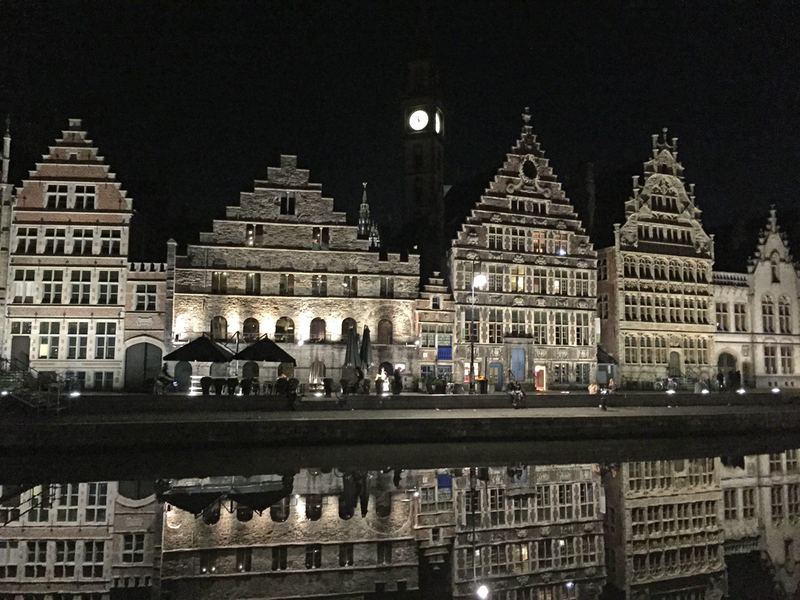 Ghent is beautiful city, day and night. It’s quaint, charming , has a bit of a regal essence, but still feels authentic. 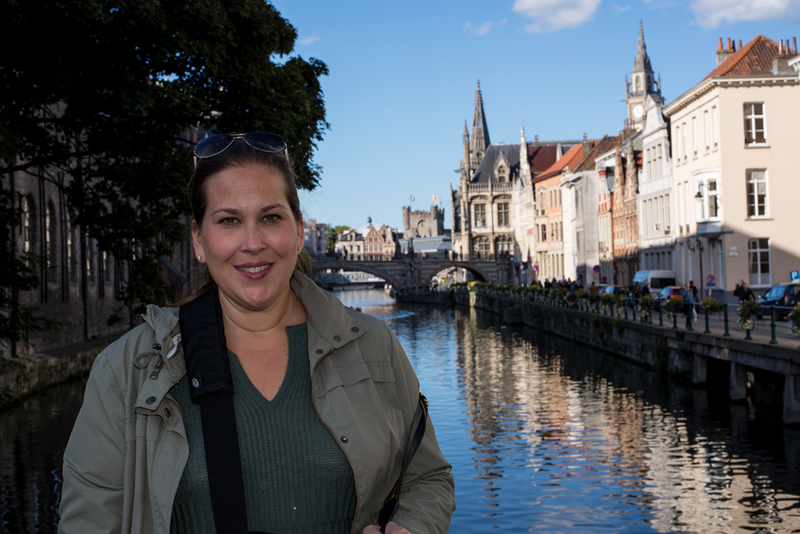 Ghent is everything I love about Europe. After our lunch we took a canal tour. 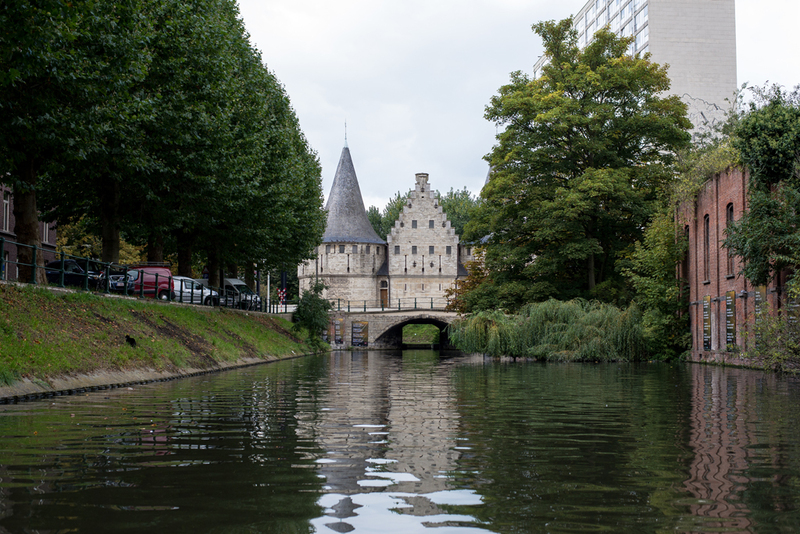 The weather was beautiful with sunny skies and unlike Brugge, we were able to enjoy the cities medieval architecture via water vessel. After our canal tour we explored The Gavensteen. 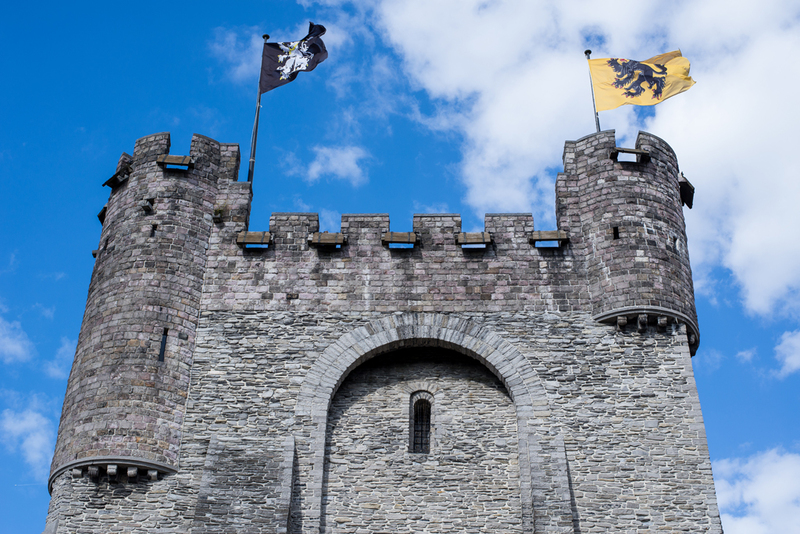 The castle was abandoned in the 14th century and was later used as a courthouse and then a prison. When I think of castles, I think of happy places with Kings, Queens and Princesses. The current exhibition at the The Gavensteen is Departures, which is all about death. Most of the permanent exhibitions in the fortress are death chambers and torture devices. The place was dark and kind of creepy. While there, I could not stop thinking of all of the people that were tortured and killed. It ee’ked me out, but I still recommend taking at the tour. With only a few hour left on our vacation we spent the remaining part of our day shopping. We then had a terrific dinner at JEF. Wanting a nightcap, our server recommended the bar across the street. It was a neighborhood joint where we were welcomed with open arms. 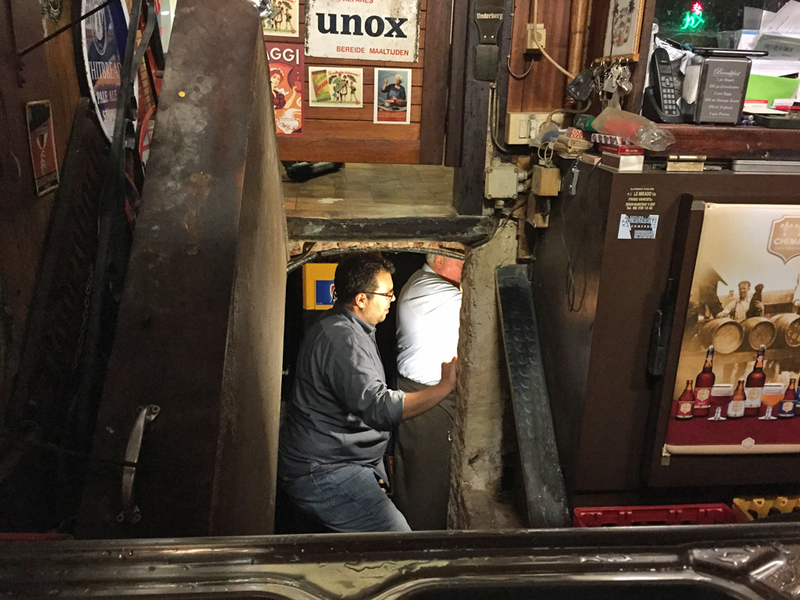 We got to talking with the owner and several of the locals, drank a few beers and Charlie got a personal tour of the bars cellar. It was a really fun time emerseing ourselves in a local hangout on our last night. Our final minutes in Ghent were spent walking back to our hotel along the banks of the canals. I could not have asked for a more poetic ending. I think the picture above speaks for itself.